I have been talking to job seekers in the do-good sector, four of them. These fabulous four have applied for, on average, eight jobs in the last six months. These folks are good at what they do, and their CV’s were some of the best I have seen. They heard back from the grand total of one of the organisations they applied to. One out of eight! Those are pretty grim stats. We can do better than that. Here are five things to think about next time you advertise a job vacancy to avoid radio silence. I often hear the excuse that folks in the sector are overworked and can’t spare the time to reply to all applicants. I disagree. I don’t think you can afford NOT to. The not-for-profit sector in NZ is a small pond, and bad experiences travel further and faster than positive ones. Unfortunate but true. Based on their experiences, our four jobseekers said there are organisations they wouldn’t apply to again. Or have lost respect for entirely. Recruitment surveys back this up. One of our four jobseekers said this, and it has stuck with me. Do your hiring processes reflect your organisation’s culture? It might be time for a review. Think about it. Making a serious job application involves researching the organisation, tweaking your CV, writing a riveting cover letter, letting your references know you’re applying and possibly doing a bit social research on the organisation through personal networks. If the job listing is sparse on details, applicants may need to factor in communications with HR people to clarify salary/hourly rates and whether it’s a contract or permanent role. Employers can cut down on the communication load by providing a full job description and being clear about salary, perks and job type in recruitment outreach. Not listing the salary or hourly rate just wastes everyone’s time. It helps, slightly, to add a line that only shortlisted candidates will hear back in the job listing or job description, but radio silence is not pleasant whether you suspect it’s coming or not, so please drop jobseekers a standard message to say they have been unsuccessful. The four jobseekers I spoke to spent an average of three hours per application. Apply an hourly rate and times it by eight applications in the last six months and we’re talking a considerable financial investment. Additional to the time spent, there is an emotional investment. Waiting for an answer that never comes is not a good look. It’s a downer for the applicant and frankly, makes the organisation look bad. Employers need to recognise that by not practising good HR etiquette around recruitment, they are alienating supporters and potential future donors. One, on receipt of the application. It will save you from phone calls and emails from super keen applicants asking if you received their application. 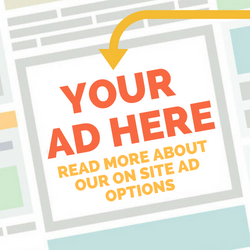 You could even set up an autoresponder if you have a special “[email protected]” email address. Two, inform applicants who didn’t make the shortlist. Three, DEFINITELY get back in touch with those people you’ve either interviewed or contacted references for. Your first choice of hire might fall through and then where will you be?! That aside, it’s just polite. Think of it as good PR for your organisation. One HR manager I spoke to developed their recruitment processes based on how she would like to be treated throughout the job application process. That old trick of walking in someone else’s shoes. Nice. Rejection is never easy but handled well, it can be turned into a learning curve. Keep in mind what feedback you can offer those who made your shortlist. If your final decision was made based on the best personality types or working styles that would fit in with your team, it’s great to let the applicant know. Did you think they were over-qualified? Not experienced enough? Perhaps the interviewee came across as nervous and the role involves a lot of face-to-face with the public or your clients? Let them know in a gentle way so they can improve for their next interview. These five things can make a big difference. 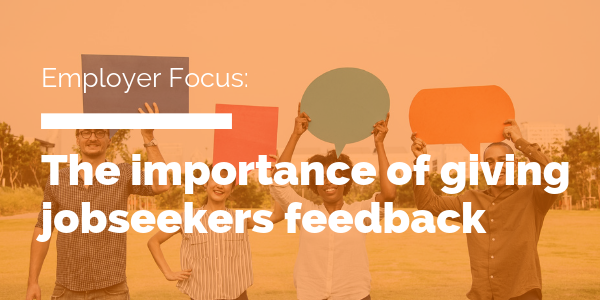 Let’s commit to doing good when it comes to giving jobseeker feedback. It’s a win-win for us all! Do you have anything else you’d suggest for giving feedback to jobseekers? Leave us a comment below.